Apatite is a traditional and fairly uncommon gemstone which is a group of phosphate minerals including other elements. This wonderful gemstone comes in a wide range of colours ranging from neon and other shades of blue, purple and red and as a result with this kind of exposure it has gained a good level of popularity and demand. According to Greek mythology the name Apatite comes from the word Apatao which relates to the Apate, the Goddess of deceit and frauds but as per the point of view of mineralogy, Apatite is a group of phosphate minerals. This is also known by gemstone connoisseurs especially for two colours – the Paraiba- like blue green and leek green , this pleasant gemstone comes into light in the mid of 1990 and unearthed in Madagascar. At present Madagascar, Brazil, Mexico and Mozambique are the adequate suppliers of this wondrous beautiful gemstone. Apatite is usually green to blue, but its colours and crystal forms vary as the natural colour of Apatite is typically green. . The neon-blue apatite is currently the most valuable colour of apatite. In the appropriate light cut stone displays a cat’s eye effect. It is quite possible to collect various colours as well as many hues and saturations. 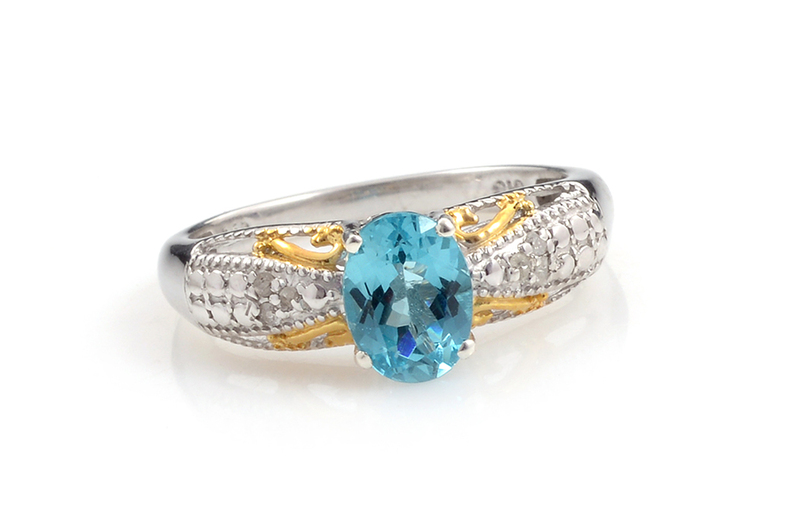 Apatite is remarkably an inspirational and fascinating gemstone. Now a time this rare gemstone has comes out with the primary choice of jewellery connoisseurs. It has been said to foster one's creativity, intelligence, communication skills, self-confidence and concentration. Due to exceptional countenance Apatite is often used in feminine jewellery where it can capture and safely display its best beauty. Apatite is adequately soft with the hardness of 5 on the Moh’s scale. It is rare to find an eye-clean neon Apatite in sizes over a few carats, most of the material is small and wonderful for Melle. Gem crystals can be found in transparent to translucent qualities. Availability of large faceted gems always has been sporadic but smaller faceted pieces have been readily available and the price is totally based on colour and cut factors and reportedly can be steep.